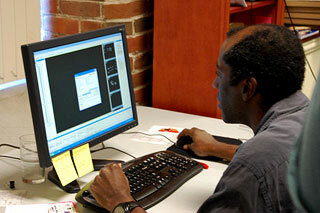 The Docema animators explain how the technology of motion capture was used to animate the 3D characters of Broadside. 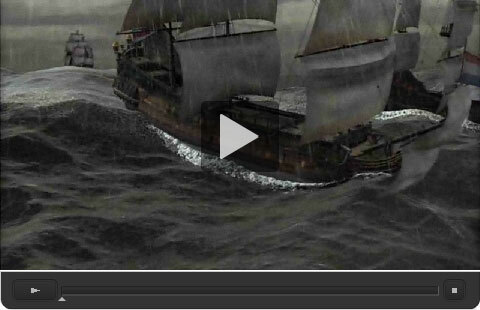 In Broadside, motion capture technology is used to record movement and translate that movement onto 3D characters, bringing them to life with realistic motion. 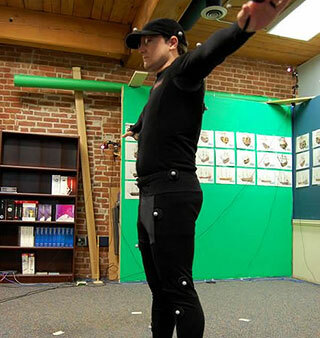 Devan Calabrez performs a "neutral T-pose" in the motion capture suit during a motion capture session. 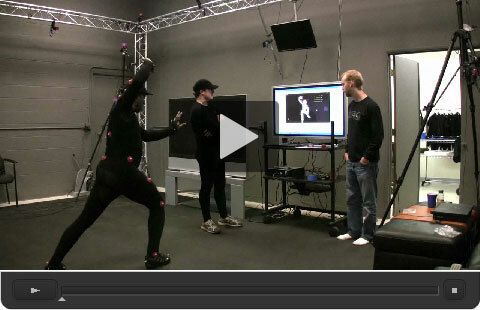 David O'Gara and Devan Calabrez plan out their next shot during a motion capture session. The Docema animators explain how the 3D models of Broadside, including the ships, seascape and characters were researched and created. 3D models are researched, designed and created in Broadside to portray a vivid visual depiction of daily life and fearsome battle in the 17th century. Richard Forman prepares models for a battle scene in Broadside.